This is a final note to a three-part series on maternal deaths in Texas. Some of you might have noticed our series on Texas’ maternal mortality crisis this week didn't address the possibility of expanding access to health care in Texas – or how expansion impacted California's crisis. There are some reasons for that. We looked at California’s successful effort to reduce maternal mortality in the state, and how Texas could possibly replicate that model to save lives. When it’s come up in the past, public health advocates typically point to the fact that Texas has the highest rate and number of uninsured people in the country – many of who are, of course, women. 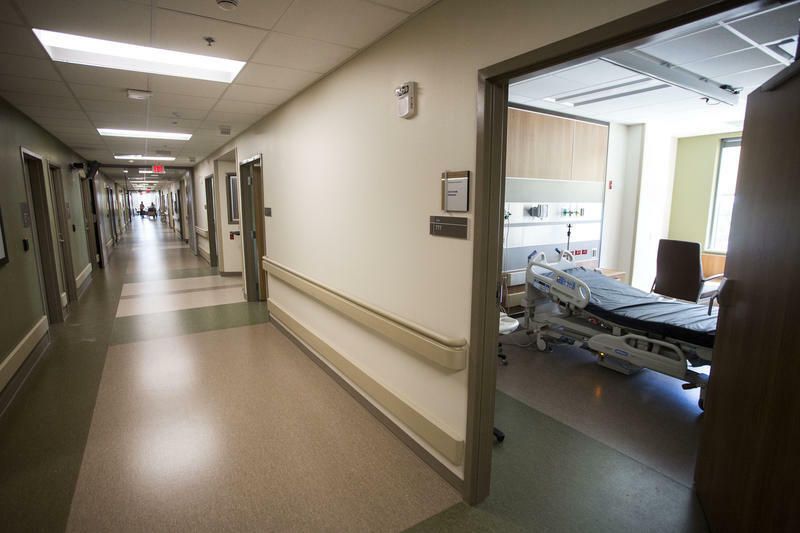 Women’s health care advocates have argued the rise in maternal deaths in Texas coincided with the state’s decision to remove Planned Parenthood – and other women’s health clinics who also provide abortions – from the Texas’ Women’s Health Program. So here are some of the reasons experts in California didn’t point to health care access as the reason the state’s rate of maternal deaths dropped. In 2013, California Gov. Jerry Brown California signed legislation expanding Medicaid to more low-income adults under the Affordable Care Act. 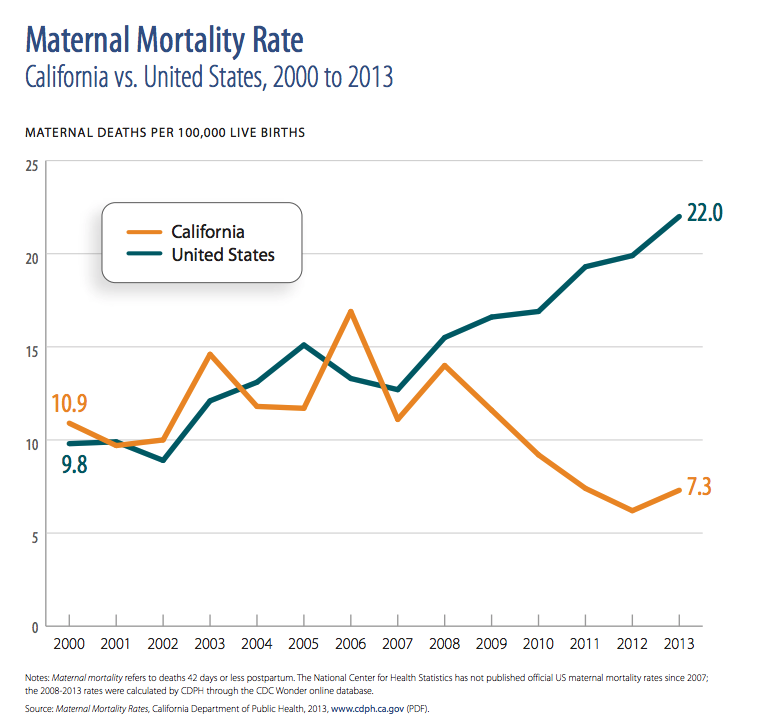 However, California started had started tackling its maternal mortality issues in 2006 – seven years before that expansion. Elliott Main, medical director with the California Maternal Quality Care Collaborative, says there’s no data yet on how the Medicaid expansion affected the state’s maternal mortality rates. Regardless, Main says there are benefits to expanding health care, particularly to more women. Currently, Texas kicks new mothers off of its Medicaid program two months after they give birth. Main says that means many women who recently had babies aren’t getting regular medical attention. “The medical issues don’t end at six-weeks post-partum,” Main said. Main also says, when addressing maternal mortality, health officials shouldn’t just focus on hospitals, labor and delivery. He says this is also about access to care for women who have medical issues before and after their pregnancy. “You can’t expect them to do well for the few months of pregnancy if they have been… poorly cared for before their pregnancy,” he says. Advocates face a hard battle in Texas, when it comes to expanding access to health care – particularly Medicaid. The Republican-controlled Legislature is ideologically opposed to the Affordable Care Act, which has funded Medicaid expansions in most states. Fox says the fact state leaders have refused to expand Medicaid demonstrates “a lack of political will in Austin.” He says the decision to not provide more health care to low-income people has led to higher rates of illness, or morbidity, in Texas. Below, you can read and listen to our entire three-part series on how California reduced maternal deaths – and how Texas could replicate that model.